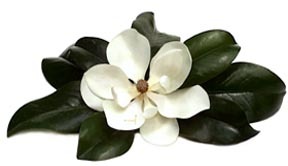 Copyright notices on some images will not appear on the purchased image. 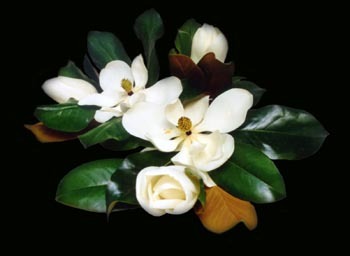 None of these images are in public domain. 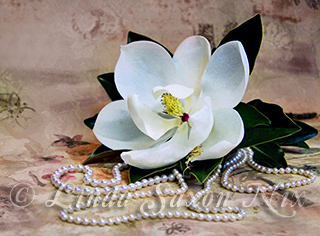 Sophisticated still life of a magnolia and pearls on a background of a floral tapastry. 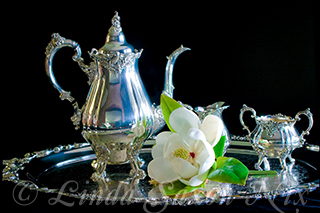 Looking closer in this still life, this tea service is ready for High Tea. 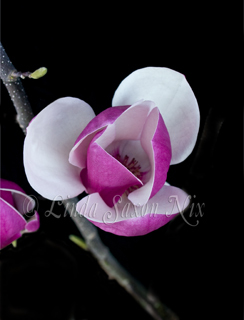 Single isolated magnolia available as an art print or digital image from a 35mm Photograph. 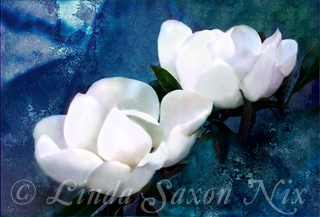 Another single, isolated magnolia available as a small digital print image. 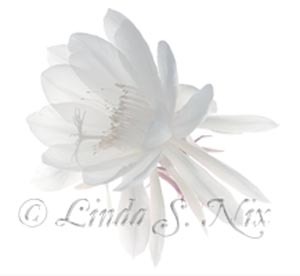 Useful for wedding invitations, business cards, logos, or fine art. 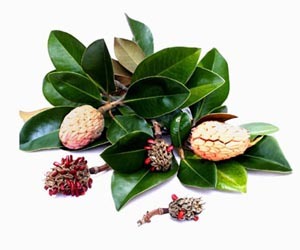 "Still Life # 3 - Quads"
Medium Format print digitally enhanced so that the arrangement slightly fades into a white background. 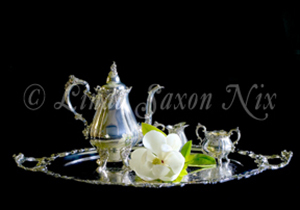 Still Life # 3A - Black"
Medium Format print digitally enhanced so that the arrangement is on a black background. 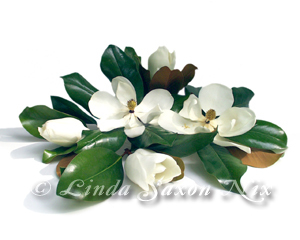 Cluster of Magnolia blossoms and buds. Medium Format print. 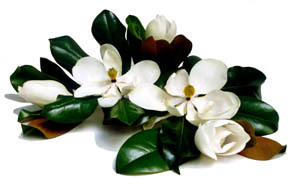 Another cluster of Magnolias in still-life setup in Medium Format slightly different than Magnolia # 205. 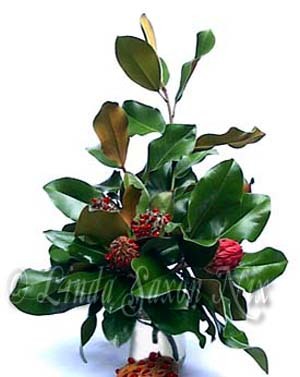 Vase of magnolia leaves and seed pods - for web use only, or small print image. 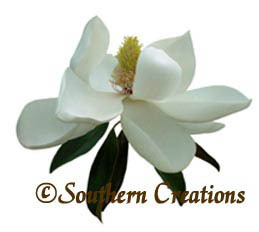 Dropout magnolia up to 8" X 7"
Excellent for logos, business cards, wedding invitations. 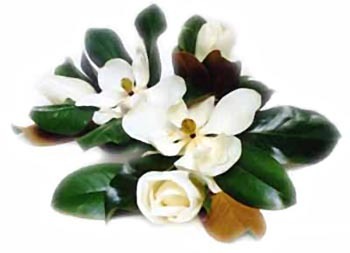 A single magnolia among lush, waxy leaves that shows a frontal view of the entire blossom and center. 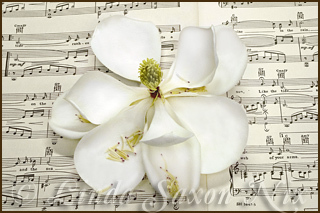 A Southern Magnolia on the antique piece of sheet music, "Ebb Tide"; faded oval shape. 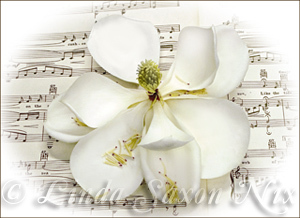 A Southern Magnolia on the antique sheet music, "Ebb Tide", rectangular. 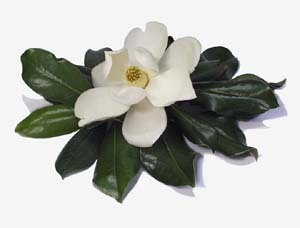 Dropping out means removing all but the actual magnolia from the photograph. 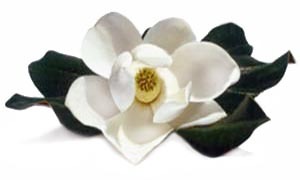 Updated May 2, 2006, April 10, 1010.